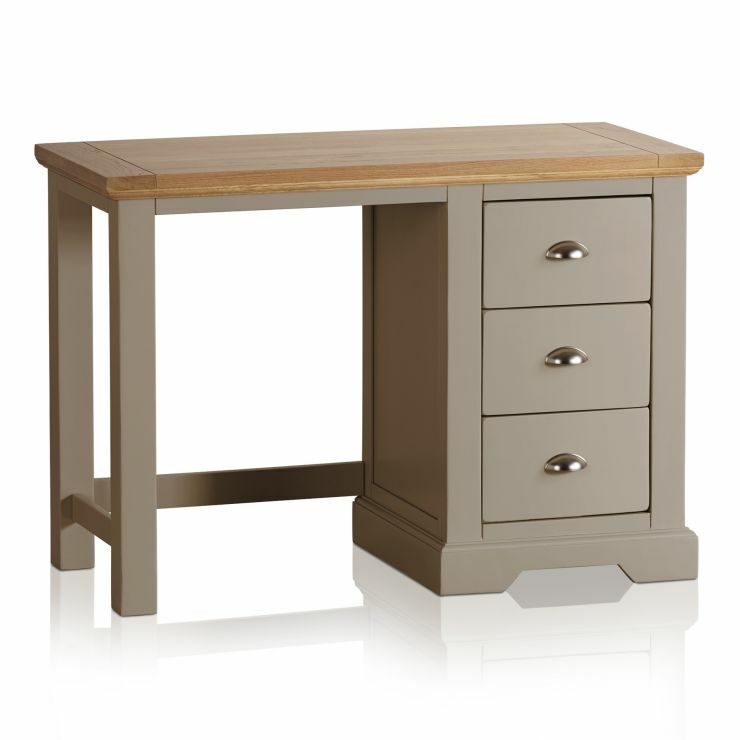 Get ready to face the day from the comfort of your bedroom at the St Ives grey dressing table. 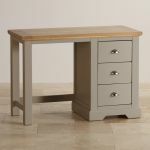 It has three drawers to organise make-up and other effects, finished in a soft, light grey paint finish and with bright metal handles. The natural oak top will set off a display of flowers or decorative ornaments. 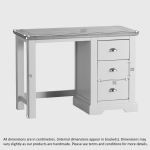 This vanity table is built to last, 100% solid hardwood throughout. 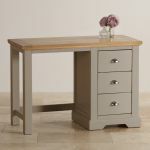 This stunning grey dressing table has a stool and swivel mirror designed to form a set. Have a look at the special price when you buy all three items together. 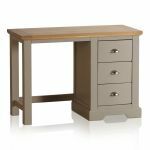 Browse the rest of the St Ives range, and see other matching items available to team with the dressing table – the St Ives bedside cabinet and wardrobe, for instance – to refresh your bedroom.